The holidays are coming and for many, that means traveling to see family. It's time to find all your travel-size beauty favorites! One of the beauty staples that I always travel with is a Wet Brush. It's perfect for after a shower, touch-ups and even your kids' hair! What makes a Wet Brush different? 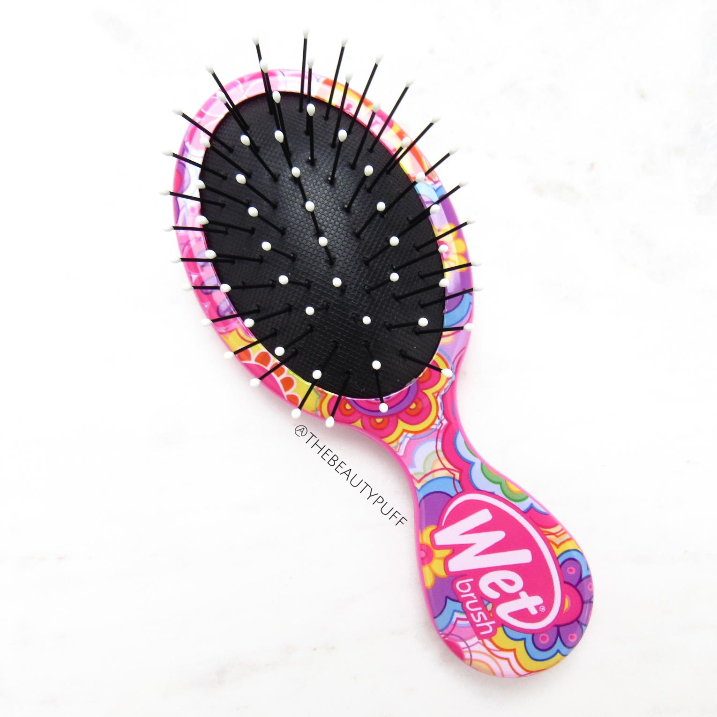 A Wet Brush is designed to be safe and gentle on wet hair. The bristles are incredibly soft and flexible so there's no tugging on tangles. Using standard brushes on wet hair can lead to damage and breakage so it's important to use something that will be gentle on fragile, wet hair. I love how the Wet Brush smoothes my hair while getting out all the loose strands. It makes styling so much easier! 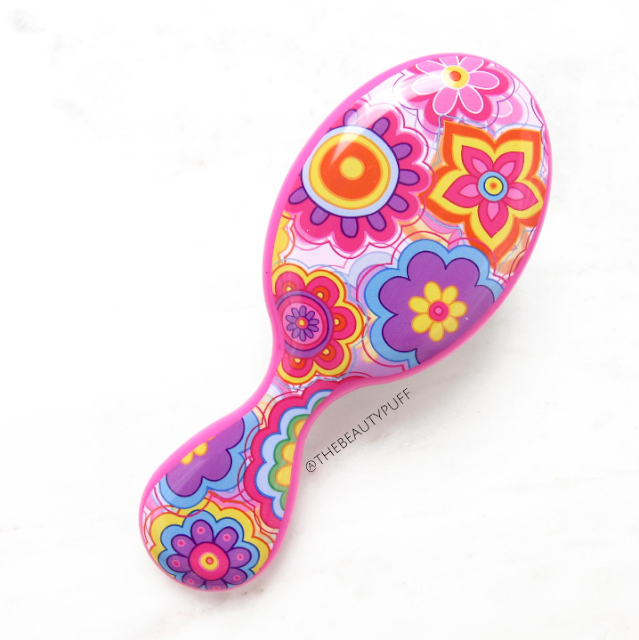 I always have one of these brushes on hand for myself and the Squirt size is perfect for my little one. A gentle detangling brush is a must when you're dealing with fine hair. My little one can brush her own hair without worry of scratching or pulling from a standard brush. These are just the right size for her hold and learn all on her own. The fun colors and patterns help too! While I do have a full size Wet Brush for myself, I love the smaller size for my purse and traveling. It's comfortable to hold and you don't sacrifice quality for the more convenient size. You can get one for everyone on your list, they make the perfect stocking stuffer! After I discovered the Wet Brush, it replaced all my wide tooth combs and brushes I had previously used on my wet hair. It does a better job and it's a lot more gentle so I don't mind using it every day. Also, Wet Brushes are really easy to wash and care for so they last a long time. If you're looking for a great stocking stuffer this season, check out the Wet Brush below on Notino.com.